About the Site: Welcome to HighwayHighlights.com! I’m Seth and this is my website about roadside oddities, quirky places, architecture, and whatever else in my home state of Minnesota, (as well as the occasional venture into neighboring states and wherever else I happen to end up.) If it’s historical, offbeat, or just plain old interesting, it will end up on here either as a feature, or in a list. Which I like writing. About Me: I have lived in Minnesota my whole life, other than four years in North Dakota for college. 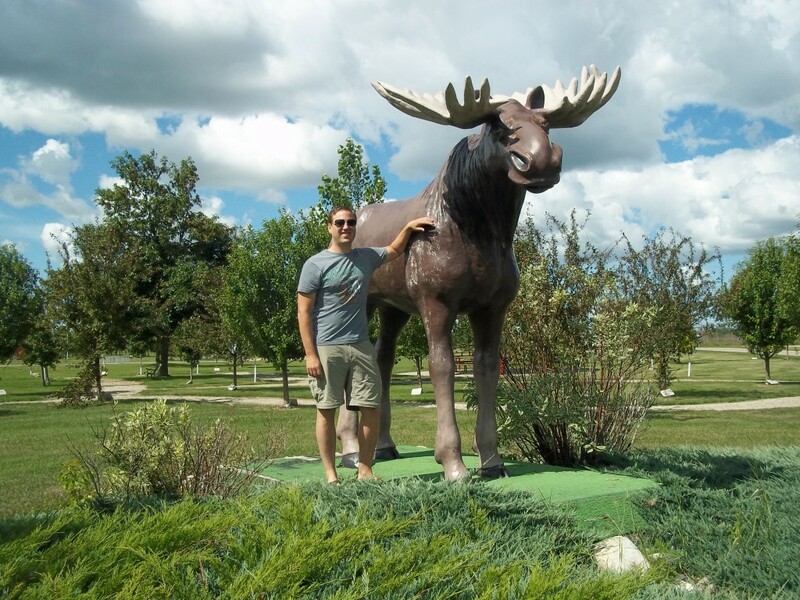 I’ve always enjoyed travel and exploring, and in 2006 I came across a book about Minnesota roadside attractions. Since then I have been a mission to see all of them, and discover many new things along the way. I live near Detroit Lakes, MN with my wife and kids. Check out a podcast I recently did about HighwayHighlights.com with LakeLifeWKND here! Highway Highlights was featured in an article in the Mankato Times in Mankato, MN. Read more here. 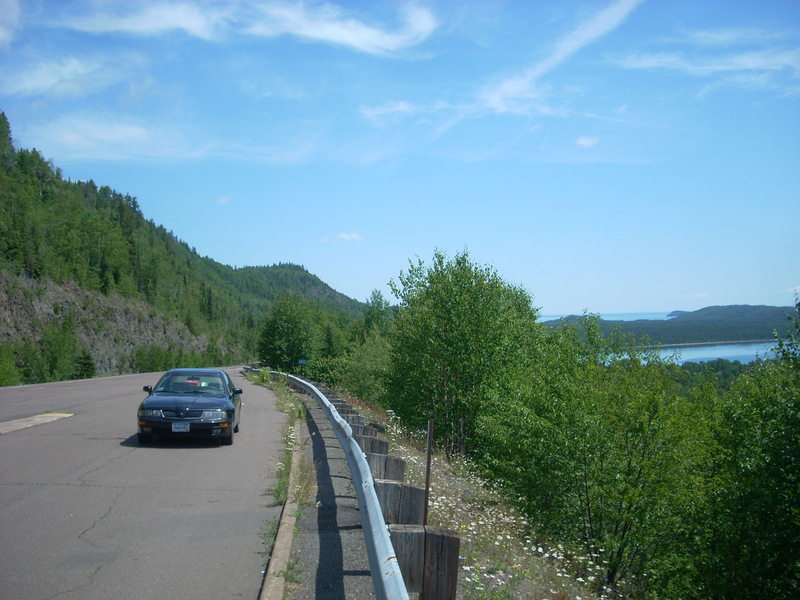 In July 2014, the Pipestone County Star did a story on Highway Highlights after seeing an article I did that ranked Pipestone, MN among the Coolest Towns in Minnesota. Check it out here. In March 2014, Highway Highlights was featured on CBS Minnesota (WCCO in Minneapolis-St. Paul) on their “Finding Minnesota” segment. I am a guest contributor to RoadsideAmerica, OnlyInYourState.com, and have been featured on FSN’s “Only In Minnesota,” KSTP’s “On the Road with Jason Davis,” Go Media’s BringMeTheNews.com, and recently featured on KTOE in Mankato. Site looks great. It’s very well done and easy to use. I’ll look forward to visiting it often and to continue to live vicariously through you and your travels. Came across your blog today. I too write travel blogs and have visited some of the awesome places in Minnesota, as well as many other places around the company. I am also a constant contributor to Roadside America. Love the new places!! Hope you are continuing to enjoy your adventures. Just wanted to share my post on my recent trip to the Enchanted Highway in North Dakota. I know you visited there recently as well. Also, I would love it if you could subscribe to my blog. I just got done with a business trip to Idaho and I have traveled about 6500 miles during that trip (I drove from Kentucky). I posted blog entries about my trip out there and am now working on my return trip. The Enchanted Highway deserved its own feature entry!! Hope you will enjoy the whimsy of that place. I have tons more coming in the next couple of weeks. Was an amazingly fun trip!! Hope you get a chance to swing through Ely! http://www.ely.org for more leads to fun! Thank you for following us on Twitter! Thank you! And I plan to this summer! Love your work. I started something similar where I was taking pictures of gas station finds, like this huge fish tank with weird fish in one town, then in another I took macro photos of plants in another. Hi Seth Its Colton I love your blog. Medora was the best place I’ve ever traveled. I’m glad you picked it. Good job on your blog my fellow Minnesotan! We do live in an amazing state! Very informative. It may help with those of us not from the mid-west to have a map of the state with dots on it corresponding to each sight/site. Easier to map out possible visits if we know how far off the beaten path these things are. thx for doing the legwork. Thanks for visiting the site! You can find an interactive map which shows the locations of the sites under the “map” tab at the top of the page. PLEASE tell me the “Ten Coolest Churches in Stearns County” is a book that I can purchase 10 copies of for Xmas for my sibs. 8 of the 10 are significant churches in my family: baptisms, weddings, communions, funerals. If not a book, how can I share these beauties w my sibs? Unfortunately no book, just a fun little article outlining our favorite churches in Stearns County. Our inspiration was the book “Legacies of Faith,” which I would highly recommend as a tour guide. Awesome, thanks for writing! The arches are pretty incredible. There are so many gems around Lake Minnetonka. Hi Seth, where is the moose that you are with in the picture above? Karlstad, MN. My wife’s hometown! I just read your super write up about Maple Beach in Ottertail County. We love that place!! It’s definitely a treat to have them so close. I wanted to tell you about our little family run business. And if you are ever in the area, again, come take it all in. We are Mother, Goose & Bean’s. A 9 acre corn maze, pumpkin patch, kettle corn and tons of really quirky little ditties and photo ops. We are located at our home, just off of highway 59, in between Erhard and Elizabeth MN. You won’t miss where to turn, Bernie the BALEman, our giant round bale guy, is standing by the highway showing guests where to turn. One drive down our gravel road will quickly show you lots of light hearted Fall humor. Come visit if you’d like. Open weekends 10-5pm.